Roughly 70 percent of Twitter's views happen outside the United States, said Josh McFarland, Twitter's vice president of product, speaking today at the DMEXCO marketing conference in Cologne, Germany. Soon, more people will have a mobile device than have reliable access to electricity. Since video has become crucial to Twitter's future, the company knows it needs to make high quality video available to even those on low-quality connections. 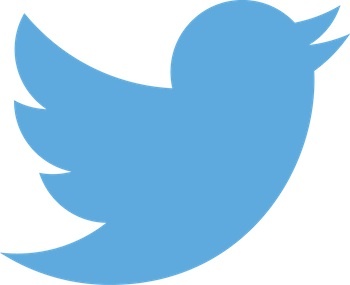 In June 2016, Twitter acquired London-based startup Magic Pony for a reported $150 million. While the company has talked about the acquisition in small groups, it's never demoed the service before, McFarland said. He then offered a side-by-side comparison of 30fps videos showing how Magic Pony's machine learning enhances a low-quality video, predicting missing elements within the frame. The effect was striking: Text that was far too blurry to read in the first video was perfectly clear in the Magic Pony enhancement. "When we talk about democratizing video, we don't mean democratizing it just for people with fast bandwidth," McFarland said. For those who feel like staying up late (in central European time) McFarland noted that Twitter will live stream its first NFL Thursday night game tonight. In a surprise announcement yesterday, Twitter said it's partnering with Apple TV, Amazon Fire TV, and Xbox One to allow anyone to stream the premium content, even without a pay TV account or a Twitter account. Viewers with a Twitter account and a mobile device will be able to watch the game live alongside a stream of top tweets. They can use a hashtag to join the conversation. Twitter's move to video started when company CEO Jack Dorsey noted that tweeting along with a TV show often meant losing the best of either medium, McFarland recalled. Twitter developed its live video experience this year during Wimbledon and the presidential conventions. The company has many more partnerships coming up in almost every content vertical, McFarland said. McFarland offered a few stats on how people use Twitter video: 93 percent of Twitter videos are watched on a mobile device. In Europe—and most other areas where Twitter is popular—nearly half of people use Twitter while watching TV. Also, tweets with video are much more likely to go viral—they're 6x more likely than tweets with a photo and 3x more likely than tweets with an animated GIF. A biometric study of Twitter use found that viewers were 30 percent more emotionally connected to a show if they tweeted while watching it. Continuing its efforts to provide live video, Twitter joins with Bloomberg for financial programming. The platform announced a partnership with CBS earlier in the week.